Here’s the first lunchtime photo taken with my new camera. 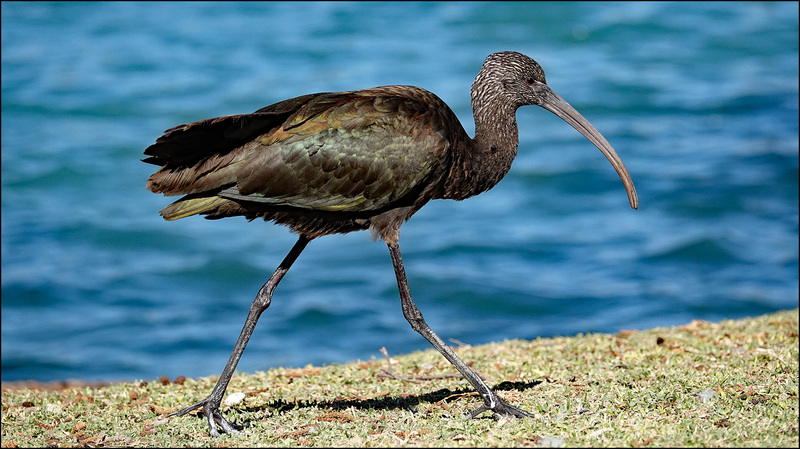 The brain trust around here thinks it’s a white faced ibis, who probably flew in from the marsh to take a little vacation in suburbia. Isn’t he pretty?